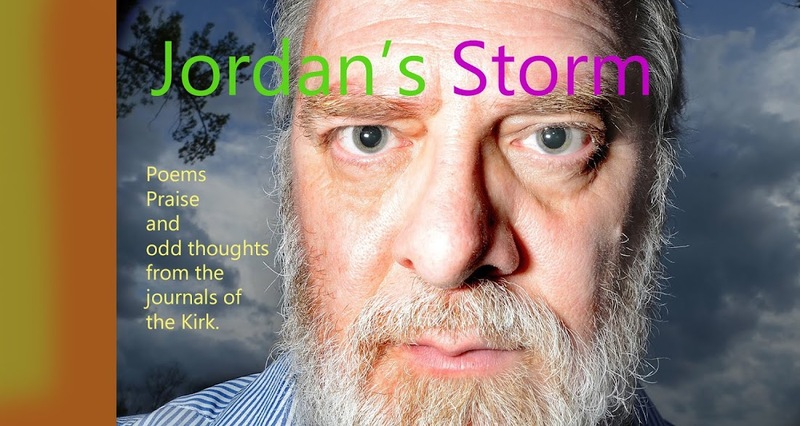 Jordan's Storm: Relativity is Fun! Consider it the fault of a fly, or Stan the man on the trampoline at the Independence Day parade. …. I remember as a kid wondering how a fly might fly within the confines of our car as the thing went down the road at sixty. Seemed to me that the fly should leap from the dashboard only to be smashed against the back glass. It just didn’t make sense that a fly could fly in lazy patterns at over sixty miles per hour to keep up with us. Dad explained the thing to me this way. Not only were we moving, but also the entire mass of air trapped in the car. The fly might have had a harder time in a convertible or with open windows. But as moved the air – so moved the fly. The fly was caught and ‘pushed’ in a medium of movement, and suffered none for the ware. Even so, I considered it great fun to see the flight of the fly in relation to the ground. Zooming high speed loops. To be honest, the phenomenon still puzzles me. But I’m glad that it works. Imagine getting on a plane and walking down the aisle. Lift your foot too far, you might step fifty feet – or jump an inch and get pegged against the tail. And if the stewardess spilled ice! Ouch! Both speed and direction have their meaning in relationship to some other thing -- A fixed point or something against which to measure the movement. But it almost seemed to me that Einstein was positing a world in which there are no fixed points. The whole world is drifting, moving, spinning, or converging, but none of that motion can have meaning unless we just assign some point as fixed. Even space or time is sliding all over the map, but there is no map. If this has any relationship to relativistic ethics, I do not know. I may be guessing where I do not know. Just the same, I’ve been having a whole lot of fun. First, I envision the Earth. Modern science would tell us that the earth rotates on its axis every twenty-four hours, and revolves around the sun once a year. Even these time terms are relative to something, namely, the action they describe . But that’s not my thought. Given the size of the sun in relationship to the earth it is more natural to think of our sun as the fixed point. And it makes some sense to do so, because the model is relatively simple. But we could as readily declare the earth to be static, and measure all movement against the fixed skin of the earth. Given that declaration, the sun would revolve around the earth … every twenty-four hours! And talk about a day … the sun would rotate on its axis once a year. Of course, the whole model gets more complicated. Not only would the sun revolve around the earth, but the rest of cosmos as well. Some comet speeding across the heavens would loop whilly-nilly around the earth, tail pointed in the same direction. And the planets would then sketch some outlandish “Spirograph” patterns of grand dimensions in the heavens. They would circle the sun even as the sun circles the Earth, much like our moon circles both the Earth and with the earth. Motions that had at one been complex but chartable would be rendered bizarre and immense … but still it could be done. Today I saw a tail wag a dog. Not just the dog, but every dog in the cosmos. For a moment, I envisioned that some point in the dog’s tail to be the fixed point in the Universe against which all other motions are measured. Rather than living on a planet zooming through space but revealed in relative calm and littered with resting dogs with happy tails, I lived in a cosmos swinging wildly back and forth against the fixed point in the dog’s tail. And now I consider the fixed point to be on the very tip of my nose. I turn my head, but I do not. My body and the world twist under me like rope. I am shaking the world. I bounce it like a ball, I am spinning it around me. I am getting sick. If I shine a flashlight, the light from the tube in hand rushes out at whatever the speed of light is. I guess that means that if I point my light at Alpha Centuria, in four years or so, something of that light should pierce the star. HA – fair chance of seeing that against the blinding skin of star! As kids I remember pointing our flashlight at the burning Milky Way of Placerville, high in the Sierra Nevada’s. Someone said that if we hit a star direct, it would cause the star to fall. Of course we had no concept of the speed of light or the distance, but I must admit, one time lying on my back out a pup tent and aiming at stars, I did "cause" a falling star. Little did I know that that was only the result of some kid, at the turn of the century, aiming a lantern at the sky! So now, I think of myself in relationship to the tube of light speeding out at space at so many thousands of miles per second. Couldn’t we reason, that in relationship to the front end of that tube, we are racing backwards at the speed of light. If either point could stand as our referent, it stands to reason. So tonight, I do not just aim at the stars and push light forward with a button. No, I’m zooming the planet backwards against the fixed face at the beginning of the tube. Now here is the question. I remember seeing some film in grade school in which it was suggested that if some guys in space traveled faster than the speed of light they would also age at a different rate. They would come back to the planet young, while everyone else had aged. I never understood the logic of this, though I guess it had something to do with the idea that time and speed share some correlation that I don’t get. Anyway. Tonight I’m speeding the planet this way and that, as I turn my flashlight at the heavens. Zoom xxxx thousands of mile this way, then urrrrrrrr, rapid reverse the other way. And speeding back against or earlier direction. So now I walk backward holding the light forward. Does that mean we are now traveling one step faster than the speed of light! Indeed, I do feel to be getting younger (or aging less fast) but I guess I’m pushing the whole planet with me at near the same speed, so against us all aging less fast together, I don’t see much difference.